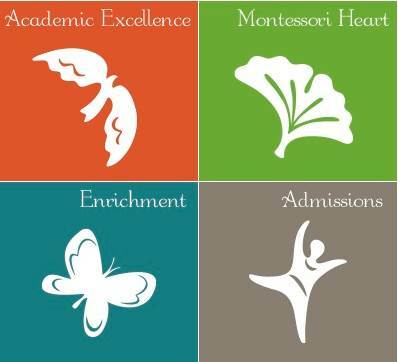 New School Montessori dance teacher, Jeanne Speier, has been teaching TNSM students for over a decade. 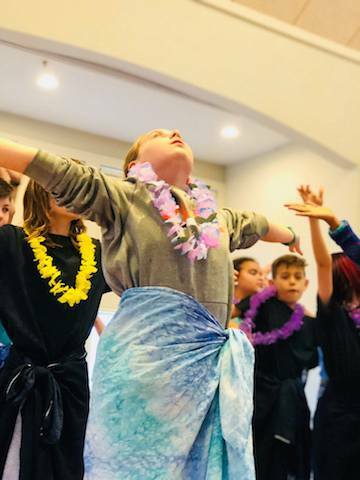 Jeanne’s expertise as a dance teacher includes training with Katherine Dunham, being certified as a Dunham teacher, years of dance study in Bali, and teaching African and Haitian dance. We are grateful to have Jeanne on our staff. 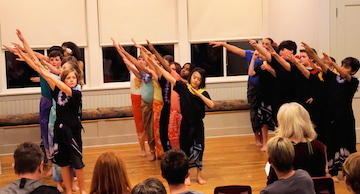 Jeanne’s work with 4th-6th grade students this semester began with a focus on creative movement. 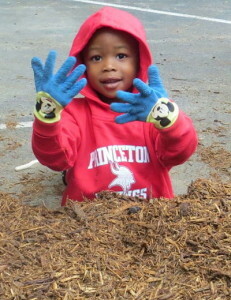 Students explored different levels, rhythms, speeds and a basic swing series. 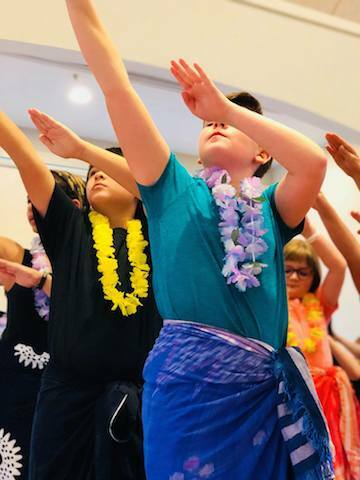 They later changed their focus toward learning the graceful arm, head and sway-of-hip movements that are typical of Hawaiian dance. 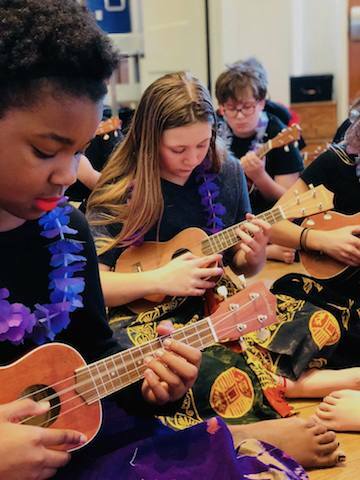 The music they danced to was performed by the 6th graders playing their ukuleles. Students entered and exited to music from the popular Indian movie Slumdog Millionaire. 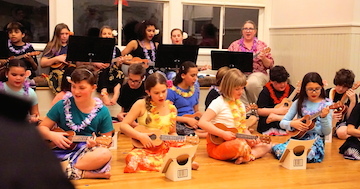 The girls performed a hula to a song Jeanne wrote from her experience in Hawaii in 2014. 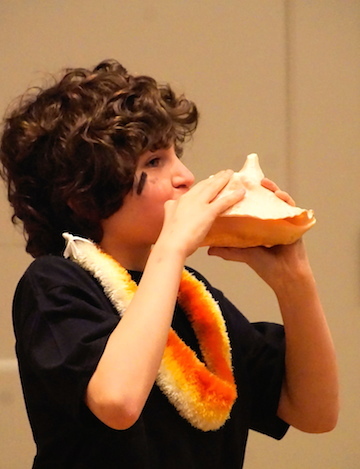 Henry blew a conch shell to signal the beginning of the boys’ warrior dance and everyone danced the hula to the song Pearly Shells. Many thanks to Jeanne’s sister, Jaqui Brumm, for providing the black tee shirts for the boys and the carnations for the girls to wear behind their ears. Jaqui also helped with the make up. 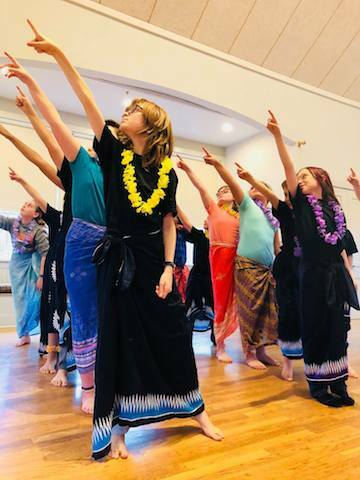 The sarongs came from Jeanne’s Balinese collection with 5 of them coming from Hawaii, compliments of Joyce Trischler.